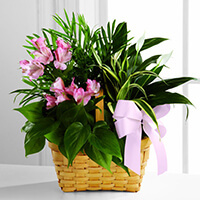 Provide comfort for the family of Daniel Vandyke with a meaningful gesture of sympathy. 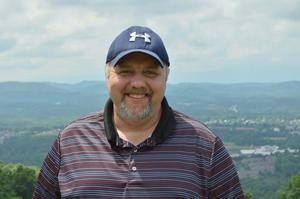 Daniel Dewayne VanDyke, age 53, passed away unexpectedly at his home on Monday, April 1, 2019. Born and raised in Buchanan County, he was the son of Horatio VanDyke and the late Mabel Ward VanDyke. Those who knew Daniel well would first and foremost describe him as a family man. He loved his wife and best friend of 32 years, Wanda, fiercely and loved to tell stories of the beautiful life they built together. Friends, family, and even strangers knew that Daniel was extremely proud of his daughter, Santana, and would tell anyone who would listen that she was going to be a medical doctor. To those who had the pleasure of knowing him, Daniel was a very intelligent, funny, kind, and hardworking man who never met a stranger. Throughout his life, he was an avid reader whose arsenal of random facts about anything related to history, medicine, science, and nature was second to none. To his wife and daughter, Daniel hung the stars and moon and will forever be missed dearly. In addition to his mother, he was preceded in death by his mother-in-law, Ruby Hurley, and brothers, Sammy Joseph VanDyke and William Ray VanDyke. 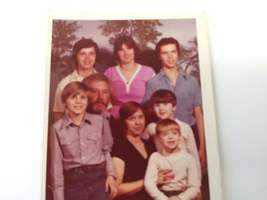 In addition to his father, wife, and daughter, survivors include his future son-in-law, Justin Palmer, siblings, Donna Ray, David Bradley VanDyke, and Randall VanDyke, and nephews, Kyle, Grant, and Dewayne. A Celebration of Life service will be held at 7:00 p.m. on Friday, April 5, 2019 at the Haysi Funeral Home. The family will receive friends after 6:00 p.m. on Friday prior to a song service led by the Owens Family and Trinity Freewill Baptist singers. Although this is a very sad time, the family invites those in attendance to share stories during the service to celebrate the life of this great man who was taken far too soon. Online condolences may be sent to www.haysifuneral.com. 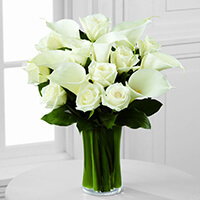 To send flowers in memory of Daniel Dewayne Vandyke, please visit our Heartfelt Sympathies Store. Matt and Samantha Jones and UVA School of Medicine, Class of 2019 have sent flowers to the family of Daniel Dewayne Vandyke. Matt and Samantha Jones purchased the The FTD Living Spirit Dishgarden for the family of Daniel Vandyke. Our hearts are saddened by your loss and our thoughts and prayers are with you always. UVA School of Medicine, Class of 2019 purchased the The FTD Sweet Solace Bouquet for the family of Daniel Vandyke. Wanda and Santana we are so sorry of your loss of sweet Daniel , prayers for your broken heart and the family. Love and Prayers, Pauline and Gary O'Quinn.